The title of the sermon was "Growing Together." The messenger was Pastor Andrew Wild at River Oaks this past Sunday, 1/27. The primary theme was that the participation in community is essential to our social and spiritual growth. Community is God's design and is emphasized by the author of this letter to the Hebrews. Several points in Andrew's message really struck me and I thought I would share a few of these here. This is timely as we begin a new small group study and a second season of Run For God, both within the next two weeks. Hebrews 10: 24-25 "And let us consider how we may spur one another on toward love and good deeds, not giving up meeting together, as some are in the habit of doing..."
1. 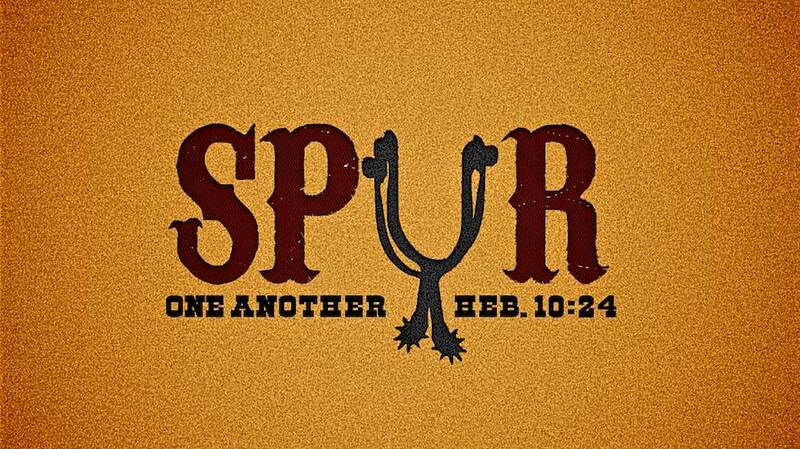 Community provides for relationships that allow us to "SPUR" one another on. Having ridden horses as a teenager, and with a former rodeo cowboy dad, I know about spurs. (In fact, growing up outside of San Antonio, I was a huge George Gervin fan, and some of you NBA'ers will recognize the connection!) Anyway, a spur is seldom used for a gentle nudge. It is a more intense method of encouragement, and this phrase, by definition, presents a strong meaning. The author would know that you and I would never "spur on" a complete stranger. We would have an intimate relationship capable of accepting and receiving this type of necessary push. When we have this type of community, we can move each other toward love and good deeds, by holding one another accountable. (Note: some translations use the term "stir up" - again, a very similar description of tough love and intense encouragement). 2. Community requires intentional effort. We don't just drift into community relationships. We are called to be intentional about our "meeting together" and work hard at developing, sustaining and growing our community. Whether this is a small group, a journey like Run For God, or any of a number of participative, and purposeful, fellowships; it takes effort and dedication. It is important to make these community groups a priority. We can't get caught in the trap of involvement in so many shallow activities that we don't have time for really deep ones. As Andrew said in his sermon, we might be overloaded with a whole lot of good, as we miss out on a little great! 3. The reality of societal trends toward community is scary. This is not a soapbox rant against technology. I am as enthralled with all things "i" as anyone (iPhone, iPod, iMac, iBook, i - i - i ...) But we have reached a point in our culture where isolation has become the descriptor of the current generation. This is not simply one man's observation or opinion, more and more studies (equal part secular and faith based) indicate that we are on a slippery slope of separation. We often interact more with screens than we do with faces. We are networked with everyone, but no one really knows us. We are increasingly disengaged with the sights and sounds around us. This isolation impacts our spiritual and emotional health. We need physical, face to face relationships. We need more than a "virtual" community, we need a "real life" community. Wherever you might be, I would strongly encourage you to consider this passage and these points. Then shutdown the computer, take out the earbuds, turn off the cell phone and seek out a community relationship! May you be blessed with a season of growth through growing together with others. Thank you David! I wish I had just posted your blog on the ROCC blog. You just said more succinctly and eloquently in five paragraphs what I tried to express in thirty minutes. Thank you for being a faithful, vitally connected, physically-present and attentive shepherd to so many.